A warm and comforting 3-minute keto creamy hot cereal that grain free, gluten free, paleo and vegetarian with vegan options. You can have a satisfying and quick, 3-minute keto creamy hot cereal for breakfast! 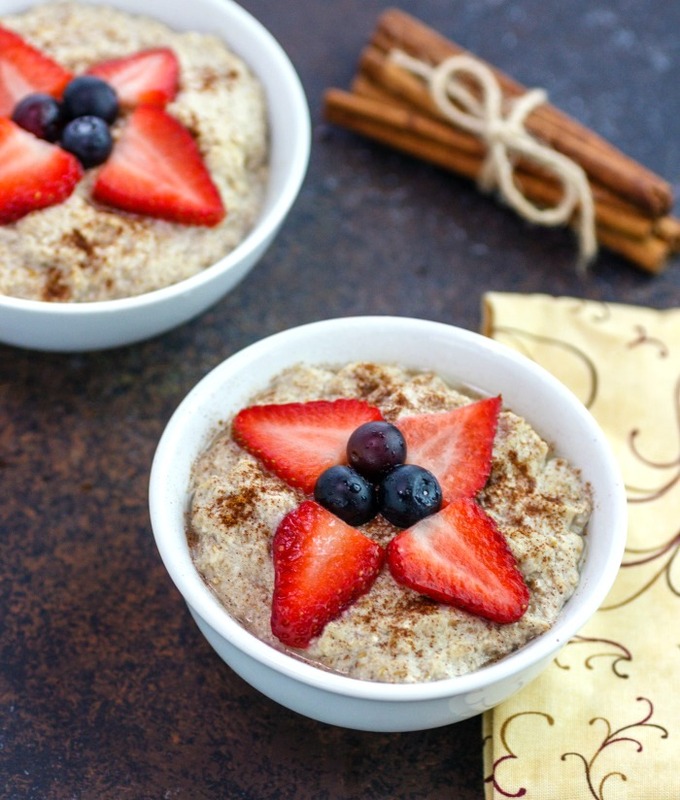 Made with ground raw sunflower seeds, almond flour, and flax meal, this hot cereal has cinnamon and vanilla accents and is topped with mixed berries. 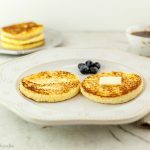 Are you tired of eggs for breakfast while on keto, paleo or low carb diets? 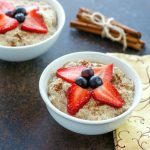 Are you watching your kids or family eating oatmeal or cream of wheat and wishing you could have a quick hot breakfast cereal too? Now you can, and it has a very similar texture to “cream of wheat” types of hot cereals. Lovely served with low carb or paleo sweetener of choice, some fresh sweet berries and a sprinkle of cinnamon. 3-Minute Keto Creamy Hot Cereal- A low carb and paleo hot and creamy cereal. Add sunflower seeds to a small processor or blender. Pulse until a grainy powder forms (the sunflower meal). In a mixing bowl combine sunflower meal, almond flour, and flaxseed meal. Stir until combined. In a small saucepan over medium heat add butter and melt. Once melted add unsweetened almond milk, and vanilla extract and stir. Add sunflower almond-flax mixture and stir and heat for 1 to 2 minutes until warm. Can add a little water to thin if desired. Spoon into serving bowls. 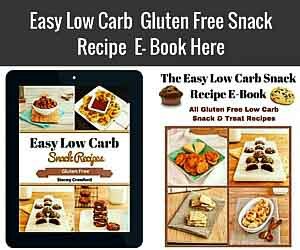 Sprinkle each with ⅛ tsp of the cinnamon, 1 packet low carb sweetener and top with berries. Serve. Nutritional Data (for Keto version with stevia sweetener): Servings: 2, Serving size: 1/2 cup hot cereal with about 5 to 6 berries. Amount per serving- Cal: 360, Total Carbs: 12g, Net Carbs: 6g, Fiber: 6 g, Fat:27g, Saturated Fat: 7g, Protein: 10g, Sugars: 2g and 4g net carbs if served without the berries. 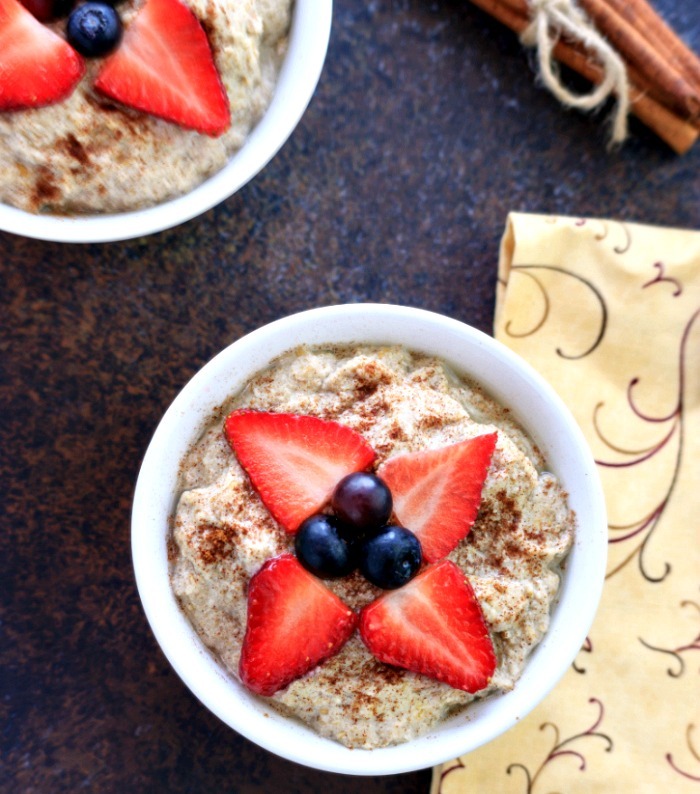 A warm and comforting 3-minute keto creamy hot cereal that grain free, gluten free and paleo. In a small food processor or blender add the raw sunflower seeds and pulse until a flour or meal texture forms. In a mixing bowl combine: sunflower meal, almond flour, and flaxseed meal. Stir until combined. In a small saucepan over medium heat add butter and melt. Once melted add unsweetened almond milk and vanilla extract and stir. Add sunflower almond-flax mixture and stir and heat for 1 to 2 minutes until warm. Can add a little water to thin if desired. *all nutritional data are estimates based on the products I used*. I make this recipe all the time! 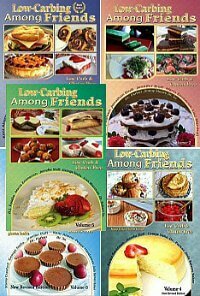 Cream of wheat is my favorite and I love having the alternative. Instead of the sunflower seeds I just use almond flour 5tbsp, coconut flour 4tbsp and flaxseed meal 2tbsp and the consistency is still wonderful. Quickest breakfast! Thanks so much! Do you think I could use ground flaxseed Instead of flaxseed meal? I can’t seem to find the meal locally. Could I buy the seeds and use my food processor and grind them up to a consistency not as fine as my ground flaxseed? That should work right? I made this into an instant hot cereal for work by adding some heavy cream powder and a bit of sugar free vanilla creamer. When I am at work, I can just add hot water and let it sit for a minute until it thickens. I made a large batch, so I can keep it in an airtight container ready to go. Could I use psyllium husk powder instead of road seed? Gia, you just use more almond flour to replace the sunflower seed meal. You can add a little psyllium husk powder if you like, just not too much. This is such a great idea! We camp quite a bit and this would be so perfect since I’m always looking for breakfasts that cook quickly! Thank you, Kari, that is a great idea! I love the sunflower seeds in this! 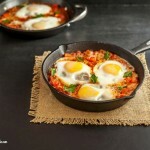 Quick healthy breakfasts that are hot are more difficult to find than those that are cold. I’m definitely adding this to my list! I love hot cereal but I have never added sunflower seeds to my cereal. I will try this idea. It sounds delicious. I’m ways looking for breakfast idea. 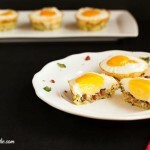 Definitely great to see a low carb breakfast that is not eggs! Looks delicious for a chilly morning! I have so missed enjoying a warm bowl of hot cereal for breakfast! 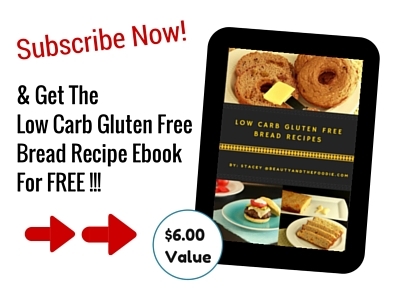 Can not wait to try this low-carb version!!! 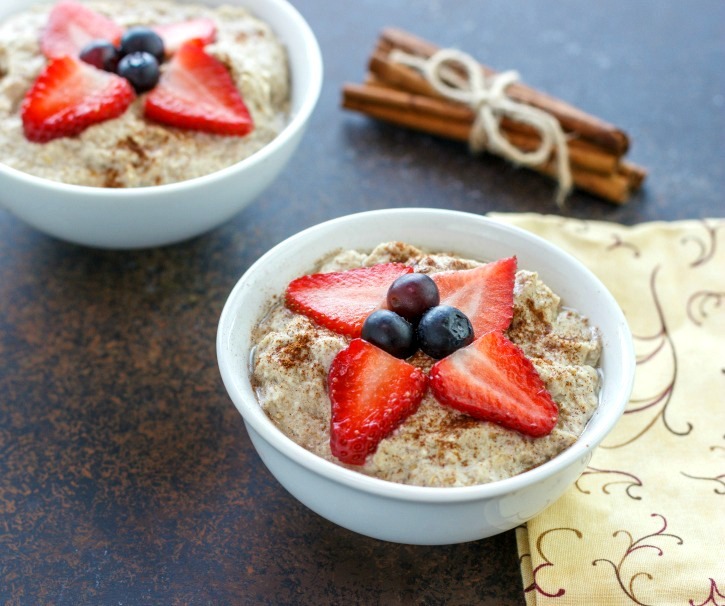 This is so creative and such a nice way to be able to enjoy hot cereal in a Keto way – especially when you miss and loved oatmeal and other porridges in the past. Such a neat way to use sunflower seeds! Yummy, cozy breakfast!! Thanks, Megan, I really like the flavor the sunflower seeds add. Best hot cereal! Perfect for the colder months. Sounds like a delicious and comforting breakfast for the winter! Thank you, Raia, it has been so cold an rainy today. A hot cereal and warm soup kind of day! 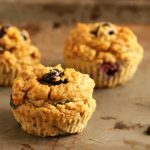 Such a comforting breakfast change up! We are snowed in today and this sounds perfect! This was absolutely amazing. It tasted much better than cream of wheat. It is my favorite hot cereal of all time. Can you make a batch and keep it in the fridge? Yes, Anna, I did that. I made a batch and stored in the fridge in a covered container. Just added a little water before reheating to thin it a little, as the fridge makes it get thicker. Can you use coconut oil in place of butter? I LOVED Cream of Wheat growing up, so I can’t wait to try this! Yes, Anna, you can use coconut oil if desired. Thanks so much for sharing! A great substitute! Mine turned out a little pasty. Maybe I cooked it too long? Definitely eager to try it again! Thank you, Tammy, you can also add a little more liquid as well. REALLY good recipe, thank you. Great substitute & I like it even better than Cream of Wheat. I may even be able to convince hubby, who loves his oat porridge. Thank you, Robin. I know how he feels, I miss oatmeal too! Does this recipe make 2 or 4 servings? 2 servings, but can be doubled to make 4. I’d love to know what the carb count would be without the berries. I don’t have any and don’t really want to buy some just for this recipe. But, HOLY COW, I can’t wait to try this! Cream of Wheat was my favorite hot cereal ever! Thank you!! Would the carbs in the nutritional facts include the carbs for the berries? Steps 2 and 3 look like the same direction. Just want to make sure I’m not missing something? Shay, thank you for letting me know. I must have typed it twice. No more late night typing, lol! This is awesome! I love cream of wheat and it’s something I miss on the paleo diet. I am excited to try this! So creamy and delicious ! Love how simple it is too ! This looks delicious! Perfect for breakfast! I love a good n’oatmeal recipe. I imagine I can premix the seeds/flours and store in the fridge so I can easily whip up this dish in the mornings. This looks really tasty. And so easy. I have a ton of sunflower seeds. I need to make this. Thanks you! Such a great way to switch up from my typical egg breakfast! Love that these are low carb. Looks so cozy and comforting. Yes! Thank you, Jean, I get so tired of eggs. I love eggs, but this a nice change! this sounds SO amazing!! I need to play with this recipe STAT! Look so darn good!! 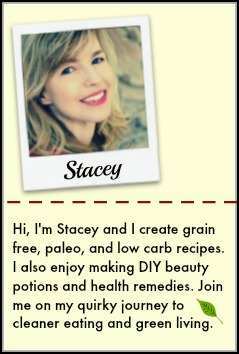 Thanks, Tessa, it is surprisingly good and easy to make in an Instant Pot too! I loved this, just what i need on this cool fall day!! I used pecans in place of the pecans, and brown butter for extra punch. I added a drizzle of Lankanto maple Syrup…so comforting and delicious, thank you!